While Kate Middleton may own the spotlight for now, she will soon have to compete with another British Princess who may even surpass Her Highness in beauty and grace. 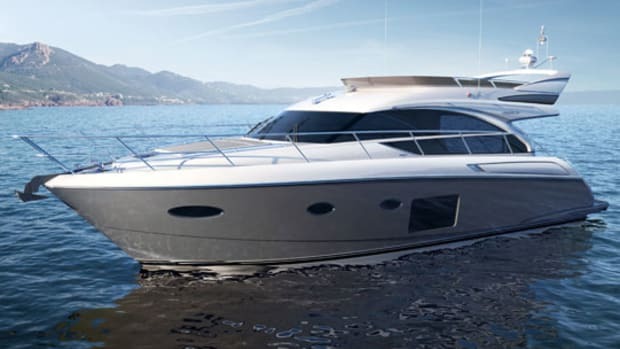 The V72 promises to uphold the traditions of another impressive lineage, that of Princess Yachts, the U.K. builder of sportcruisers. 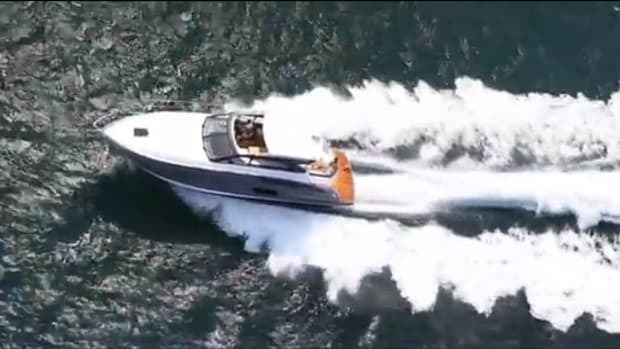 The V72 will launch at the 2012 Miami Yacht & Brokerage Show. 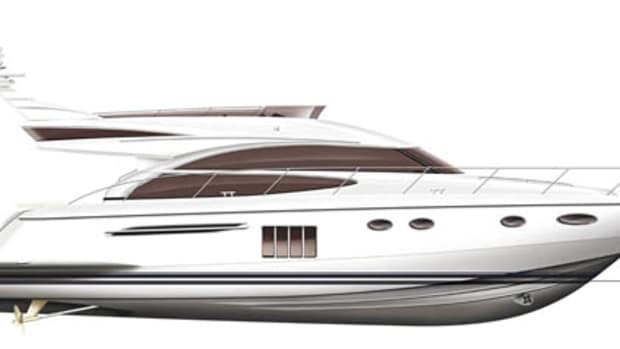 Of note will be her traditional, yet clean and eye-catching lines that belie what Princess hopes will be some noteworthy performance numbers for a cruiser of this class. She’ll also be superbly outfitted for entertaining, of course. 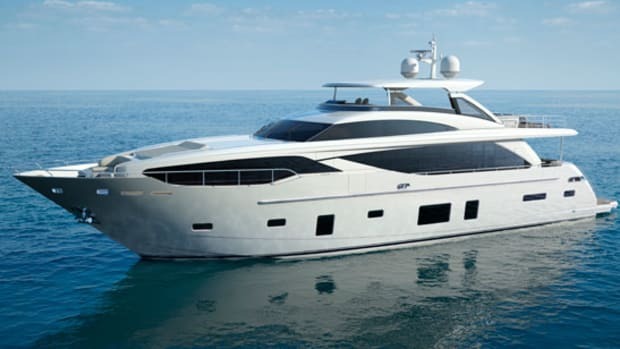 Her sizeable cockpit features a U-shape dining area and wet bar to keep everyone aboard fully fueled and refreshed. 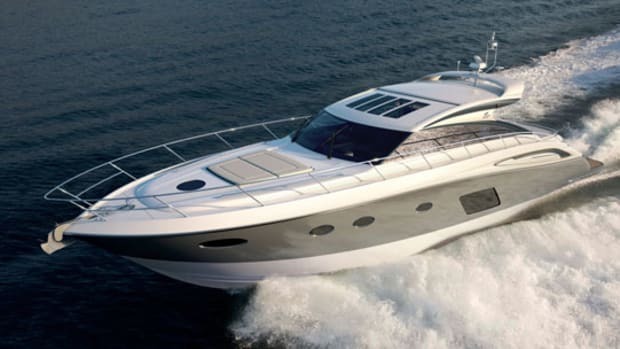 A large sunpad aft covers a twin-berth crew cabin with an en suite shower, transom access, and a central garage for your tender. Aft of that, there’s a hydraulically operated swim platform. 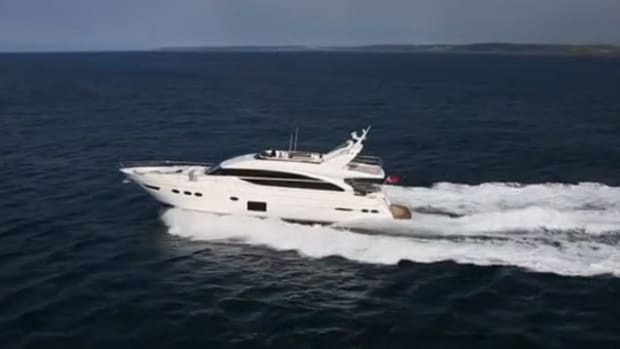 The entertainment areas in the stern are complemented by a generously spaced foredeck with an additional sunpad, as well as a seating area imagined as an ideal breakfast nook or al fresco cocktail lounge. 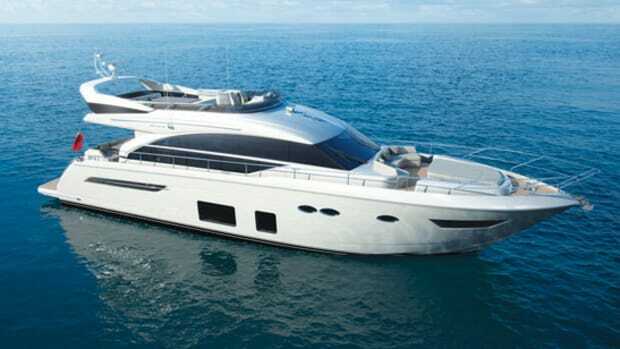 Below, a full-beam amidships owner’s stateroom has a walk-in closet and en suite head. 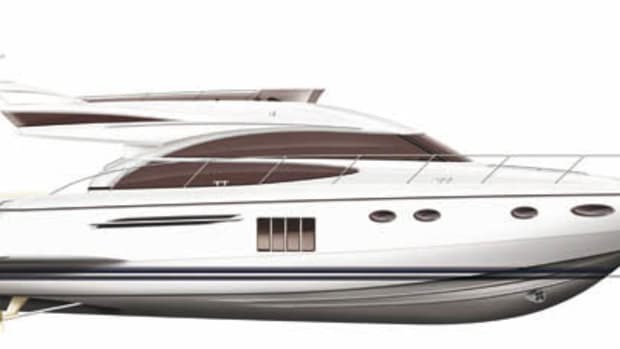 Forward, a VIP cabin should suffice for any special guest—a duchess perhaps?—while an aft guest cabin’s twin berths slide together electrically for a larger bed. Meanwhile, the main deck features spacious seating areas and a circular dinette for noshes. 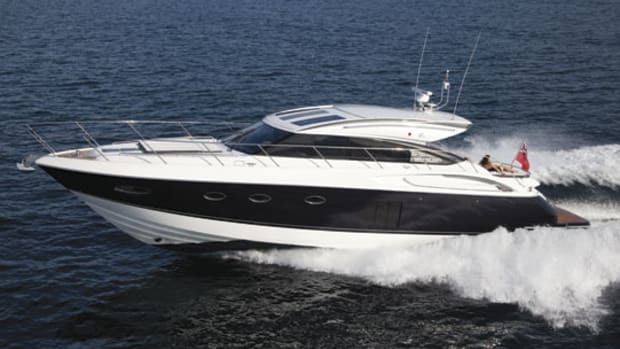 Above, a sliding hardtop will offer the owner the choice of having those snacks totally indoors or while enjoying an ocean breeze. All of these amenities promise to make for a boat fit for any royal though luckily, you won’t have to be able to trace your bloodlines back to Henry V for a Princess of your own.